I stopped making crêpes in France. In Chicago, they were always a crowd-pleaser. They somehow seem fancy to us, even though they’re just flatter pancakes. Julia Child’s recipe was my go-to. 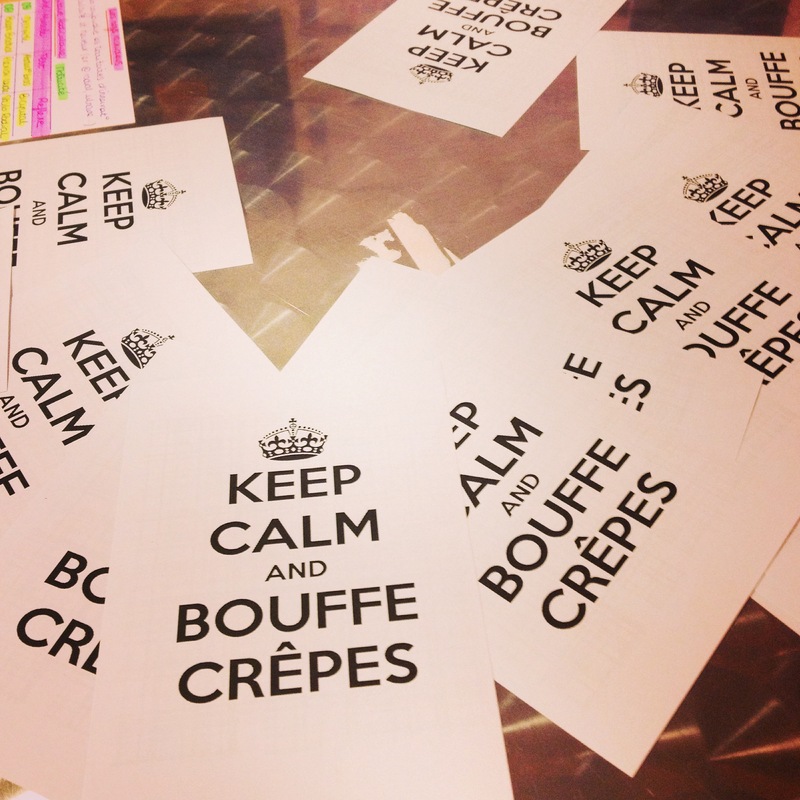 Honestly, if I was nice enough to make you crêpes, I just want you to shut up and eat them. I don’t want to hear about how I made them wrong. I love to eat, but I’m not a gourmet cook like my dad. So I don’t make crêpes for French people anymore. They are in charge of making the crêpes. Instead, I make pancakes. 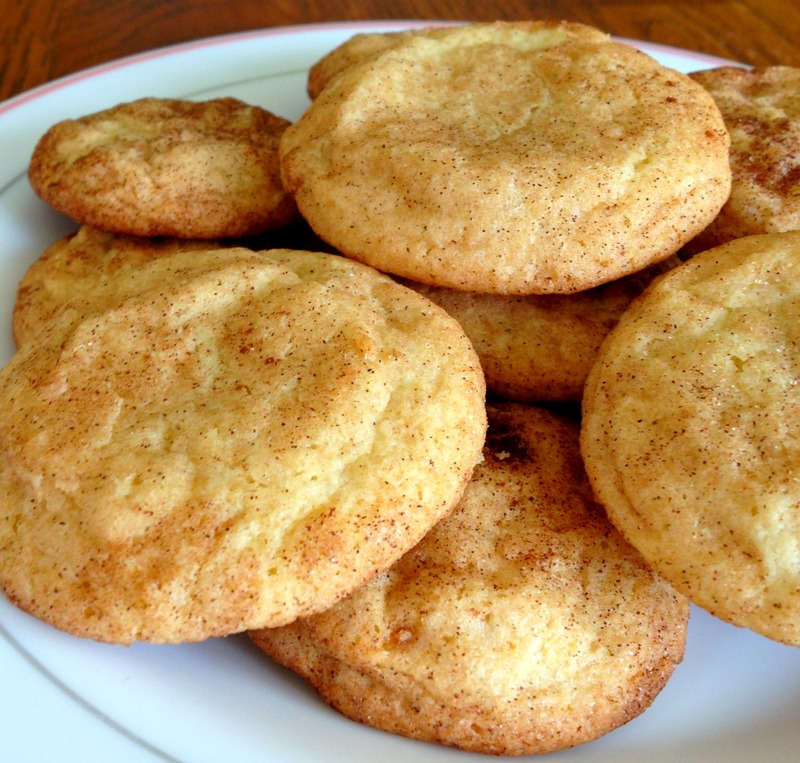 Snickerdoodles. Quesadillas. Sesame noodles. And no one gives me any crap about my cooking, which is just how I like it. Here’s what I cook to make my French friends love me more. It’s not like no one in France has ever tasted chocolate chip cookies before. But ever since I found this salted chocolate chunk cookie recipe from Smitten Kitchen, I bring them everywhere. And people are always happy when I do. I had to get used to making cookies without an electric mixer – I either make sure the butter is close to room temperature so that I can cream it with the sugar by hand with a spoon, or I melt it, mix it with the butter, and put it back in the fridge for a bit. You really feel like you’ve earned your cookies that way. It doesn’t matter if it’s brunch o’clock or if I need something to feed unexpected tipsy guests at 11 p.m. Pancakes feel good in bellies. They just do. So American, right? 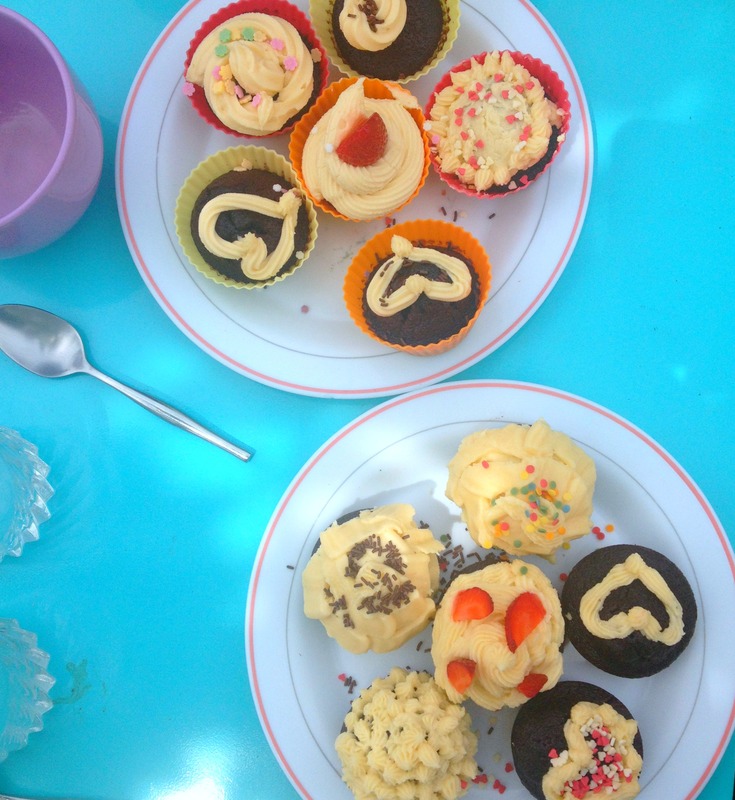 Cupcakes are kind of a trend in France… but many bakeries either don’t get them right, or charge an arm and a leg (or both). This chocolate cake recipe is amazing, and there’s a buttercream frosting recipe along with it. I don’t know if I would attempt the frosting without a mixer – I don’t have the upper body strength for that! It has been pointed out to me that frosting is not “très français” so now I just put a thin spread of it instead of a big swirl. Sometimes I think I like snickerdoodles even more than I like chocolate chip cookies. You know how I like funny words. I always use this recipe. 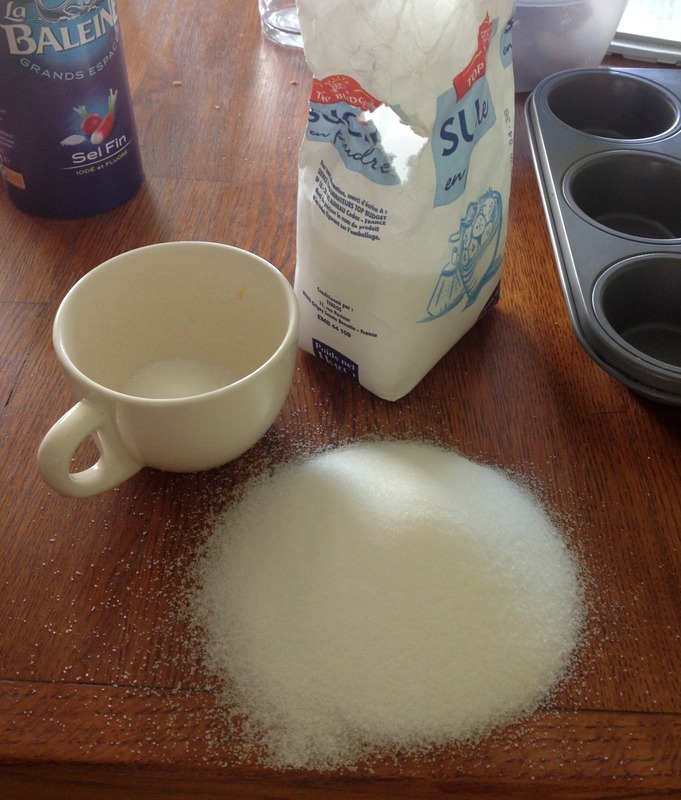 If I don’t have brown sugar on hand, I just use all white sugar. If I don’t have cream of tartar (and I never have) I just mix in some baking powder and baking soda. Nothing bad has ever happened. 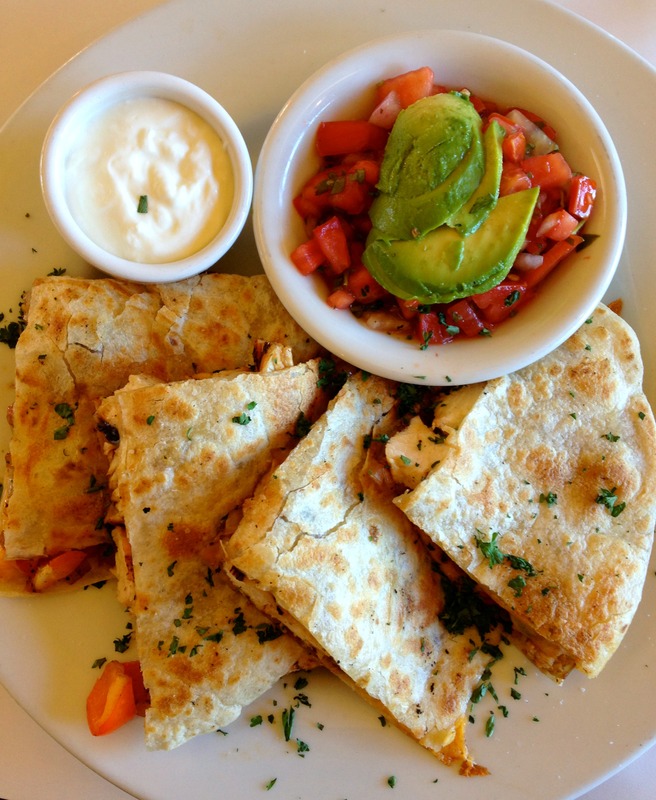 Your French friends probably won’t know what quesadillas are, but their initial suspicions will be quelled when you stuff their mouths with cheesy tortilla and homemade guacamole. (They’ll call the tortillas “crêpes” or “galettes,” but nevermind.) I made these this week with Mexican rice. I am obsessed with noodles right now. This year I found the Asian grocery stores in Lyon. (They’re in the 7th, by Guillotière.) I can buy sesame oil, rice vinegar, and a zillion kinds of soy sauce. I can’t stop making these sesame ginger noodles, and I’m working my way through some new recipes from The Woks of Life. (Although Hugo has made it clear – “beurk! dégueu!” – that he won’t eat any more hoisin sauce.) I pair the noodles with my favorite Asian cucumber salad. Sometimes I drink the leftover dressing out of the bowl. Don’t tell anyone. I’ve only included links to recipes I love and use on a regular basis. If I have linked to your site and you are displeased, please let me know via my contact page. I use “levure chimique,” a levening agent that is sold for super cheap in little pink sachets, for baking powder. It’s probably not exactly the same thing, but I don’t really care. The baking soda in my kitchen is the orange Arm & Hammer kind and it came straight from the USA, but you can buy it in France – look for “bicarbonate“. Do not accidentally set your oven to 375 Celsius. Sometimes ovens aren’t even in Celsius. They just have numbers (like, 1 to 10) on the dial and you have to guess. What do you cook for your French friends? Or if you’re French, what is your favorite foreign food? My go-to bake-to-impress recipe in Italy is peanut butter cookies. (http://whereszoenow.com/2014/10/13/peanut-butter-cookies-recipe/) Peanut butter isn’t common here but it’s still possible to find, and the cookies are dead easy to make, but Italian people think they’re some kind of culinary marvel. It is SO good. Really delicious. 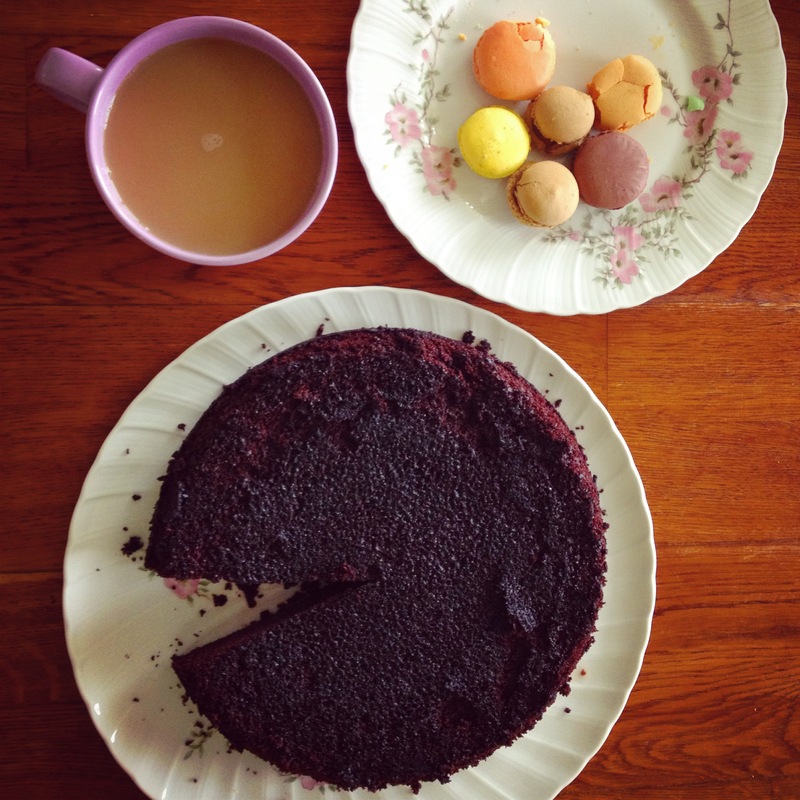 I love easy cookie recipes and I love even more that story about the 91 year old Italian lady at the end of your post! Haha. Yum!!! Totally agree with pancakes, my mom even sent me a box of bisquick and maple syrup for that extra American simplicity. I loved making my friends brownies and anything with peanut butter!! I got a lot of requests for cheesecake…but that’s a recipe I have yet to master. One really nice fall dinner was grilled cheese (croque monsieur sans jambon???) with tomato soup! Yummm, maple syrup! And YUM, brownies. That sounds delicious. Maybe I’ll give pumpkin pie a try this year… if I can figure out how to make it without canned pumpkin. This post is great. It made me laugh because it’s so true. French people go nuts for cookies, pancakes and quesadillas. They seem confused by how much Americans like Mexican food. I don’t know how to explain it. Thank you! You’re so right, Mexican food is really scarce here. I think it’s so funny that a “taco” is a kind of kebab sandwich. But of course, I’ve never even been to Mexico so maybe what I think of as “Mexican food” is off-base too. But I still miss tacos!! That quesadilla recipe looks amazing! I’m from southern California so I’m desperately missing my Mexican food. For some reason I’m having trouble finding shredded cheddar in France, but I definitely know what I’m making when I do! Thanks for these awesome ideas!